Get your students to be gansters in this great play which has been specially adapted for schools from the popular film and it even includes still photographs. So join all the characters: Bugsy Fat Sam Tallulah and Dandy Dan for great fun with the whole class. Students will relish this opportunity to play a cast of Prohibition-era mobsters. Fat Sam who runs one of the most popular speakeasies in town is in danger of being closed down by his 'business rival' Dandy Dan. 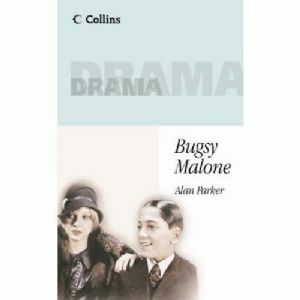 Enter baby-faced Bugsy Malone a killer with the ladies and a definite asset to Fat Sam. Unfortunately Bugsy has also caught the eye of Sam's girlfriend Tallulah -- though he's set his designs on the showgirl Blousey Brown. This script with 15 major parts has been especially adapted for schools. It contains the song lyrics and stills from the film as well as suggestions on lighting staging and costumes.